Today I drove the future. I was ten years old when I first drove a car, perched on a cushion in my Dad’s Ford Anglia, I mastered the art of clutch and throttle to drive a few hesitant yards on a deserted camp site. That means I have been driving for 50 years now, and although I’ve driven everything from Lambrettas to Lamborghinis, one thing has remained constant … the internal combustion engine has powered every single one of them. 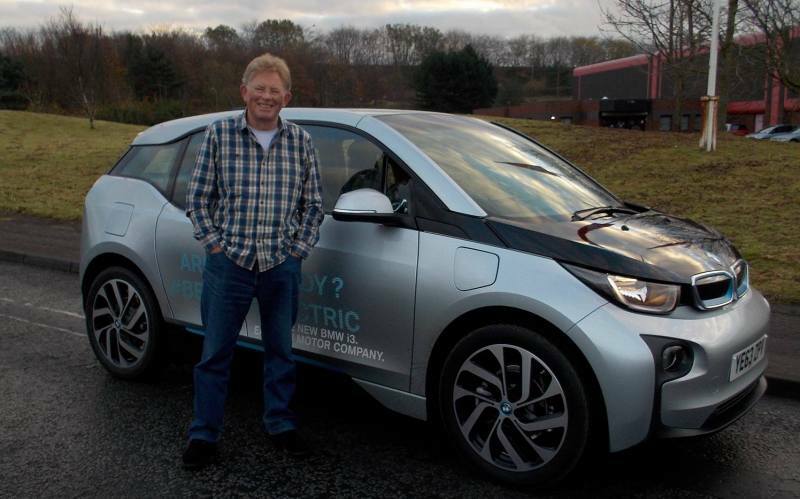 Today I drove my first ever electric car, and my motoring landscape shifted. For me it may have taken 50 years, but the great motoring paradigm shift has begun. 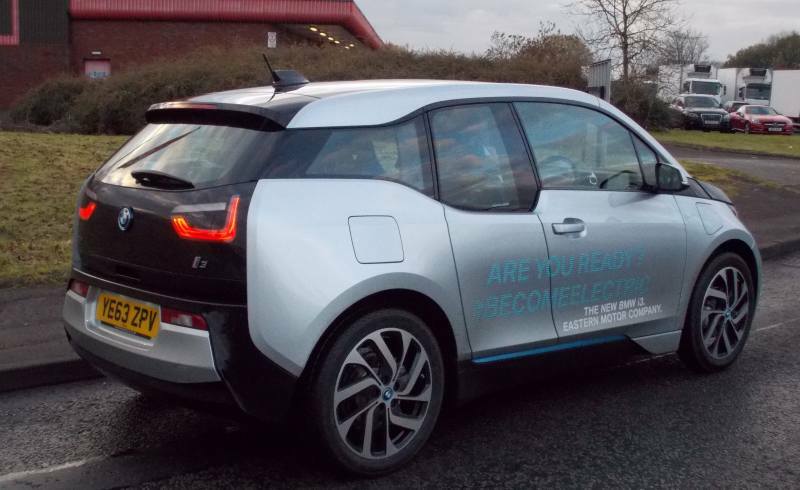 I was in the passenger seat of the BMW i3 as the salesman (no sorry, the "i Genius" … I kid you not) manoeuvred it out of the showroom and stopped, Perhaps 5 metres in total, but I truly gasped in disbelief as the car slid utterly silently through the bi-fold doors. It was the most amazing 5 metres I think I have ever experienced, although only to be bettered over the next 10 miles as I punted the i3 as hard as I dared at considerable velocities over some well chosen but rather slippery roads … in utter silence! 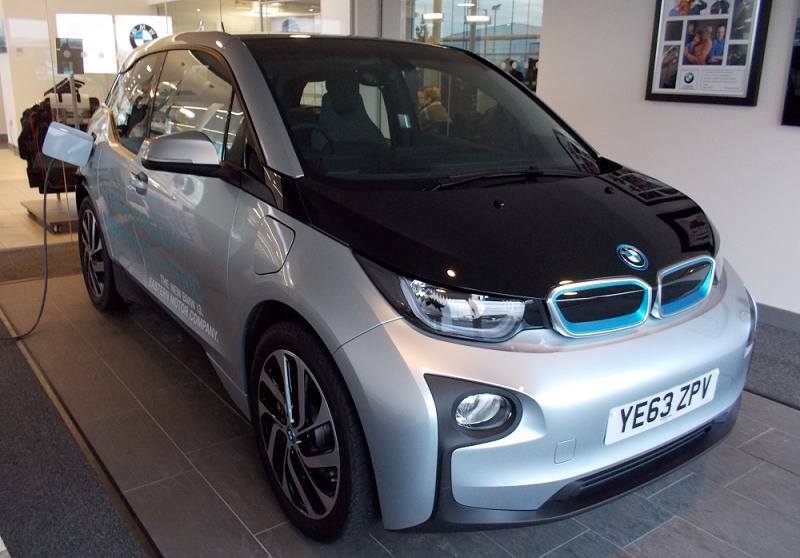 Forgetting the power source for a moment, the i3 is a triumph of design just as a car. A combination of aluminium chassis and carbonfibre body is unheard of in a family saloon for a start. There are no conventional instrument dials, at last a manufacturer has had the gumption to bin them, and you are faced with two iPads, a small one for data readout of speed etc, and a larger one for nav and infotainment. The interior design is as cool as an Eames chair, and the whole thing has the ergonomics of a reworked Audi A2 (that’s my highest compliment, by the way). Externally it’s either as ugly as a box of frogs, or post-modern brilliance, your choice, but just remember some folk have actually paid real money for a Nissan Juke, so who knows! The first thing that strikes you is the accelerator pedal. The mapping of the initial take up is superb, and you can move the car inch perfect, which builds your confidence. The second thing you notice is the formidable acceleration when you give it the beans (7.2 sec to 60 apparently) but the really amazing difference is when you lift off at speed. In a normal car it would coast, but lifting your foot causes it to go into regenerative braking mode, so it slows down. This feels very unnatural at first, but within a few miles I had acclimatised, and with practice you almost never need to touch the brake pedal, as you can control it all with the throttle, very satisfying. The stiff and light body gives precise handling but with a lovely absorbent ride, and the elevated driving position means you can place the car easily, so driving it is second nature. Until you glance at the speed reading that is, as this thing flies faster than your senses expect, in hushed silence. Weird at first, but a delight as you get used to it, and probably addictive I suspect. It may explain why I was reluctant to hand it back! OK, there are downsides. The 80 to 100 miles range means that outside of an urban environment it’s out of it’s comfort zone, but that’s as far as battery technology allows at the moment, so you have to factor that in. It’s also not cheap at £30,000 (less a £5,000 grant from the government) and it’s another £3,000 for the range extender version which doubles the range by having a small petrol generator on board. The really important point is that it is the first ever electric car that really feels like a proper car, not some stupid eco-toy like the lamentable Gee Wiz. It is a highly desirable, premium spec, superbly designed drivers car, just as any decent BMW should be. It just happens to be electric. Sure it doesn’t tick all the boxes, but if the money was no object and I could live with it’s limitations, I’d be an early adopter tomorrow. It’s that good. Believe me, the great motoring paradigm shift has begun.